For innumerable centuries, the Djinn have moved amongst us, Silent, unseen and unrecognised. For those who see beyond, however - those who have been initiated into the mysteries of the Islamic and Arabian Magickal traditions - the Djinn are very real and very powerful magical allies who fulfil every desire. The Western magical tradition has long-ignored the true powers which can be bestowed by the mighty Djinn, frequently mistaking tales of their awesomely beneficial abilities as little more than myth and superstition. And yet slowly, tales of their magical prowess have persisted, leading finally to real efforts being made to tap this vast, unused channel of power. The author of this book, Alhazred (a magical pseudonym), has been brought up from childhood in a community where the use of the Djinn is common-place, and largely accepted as the norm. He has seen, and used, the power of the Djinn for himself, on numerous occasions, and - after months of persuasion - has finally agreed to share a guarded portion of his knowledge here. Within this remarkable book, you will be taught - in detail - how to contact the Djinn of your choice, and how to bind it to an object which is personal to you and your desires. You will then be able to work with your Djinn, and bring about whatever situation your heart desires. 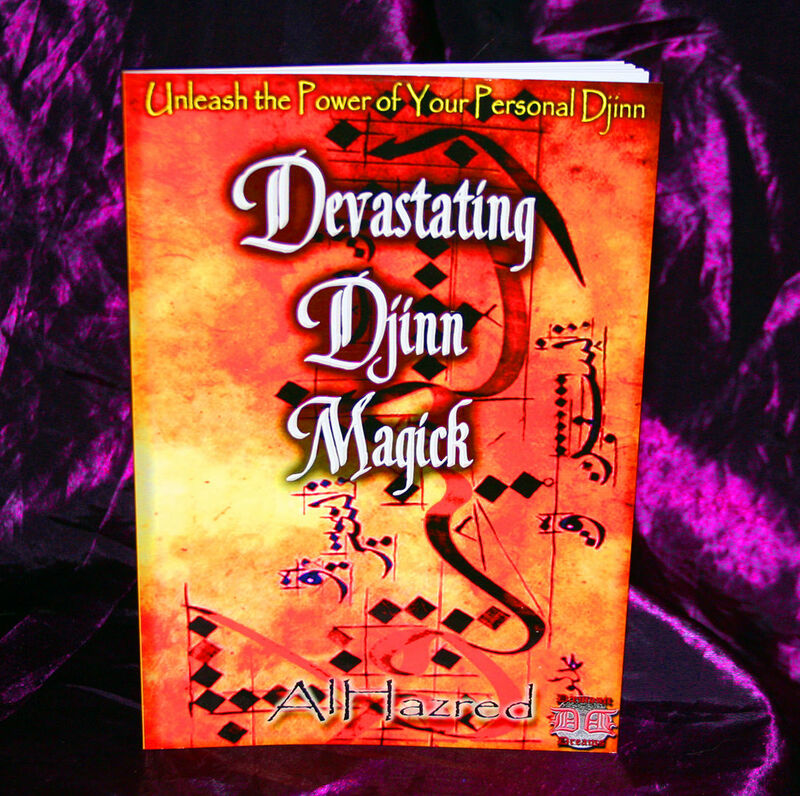 Make no mistake - the details provided in this remarkable book have the power to change your life beyond all recognition - Alhazred himself has ensured that his personal Djinn has blessed and empowered each and every copy of this remarkable work, to ensure the benefits you receive are immediate, and unmistakable.